Hide this Project (Sobha Evergreens) Discover properties in other projects by hiding the ones that doesn't interest you. You won't see them in your searches further but you can unhide anytime later. 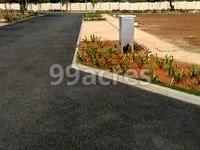 Sobha Evergreens in Nandambakkam, Chennai West by Sobha Developers is a residential project. The project offers Land with perfect combination of contemporary architecture and features to provide comfortable living. Sobha Evergreens price ranges from 9.99 Cr to 30.22 Lacs. This is a RERA registered project with registration number TN/01/Layout/0018/2017. The project is spread over a total area of 10.69 acres of land. An accommodation of 130 units has been provided. Where is Sobha Evergreens located? Nandambakkam, a prime residential locality for house seekers in Chennai West. What is the area of Sobha Evergreens?The total area that the project occupies is 10.69 Acres. Does Sobha Evergreens have badminton court? The project doesn't have a badminton court. Does Sobha Evergreens have skating rink? There is no skating rink in the project. Is Sobha Evergreens vastu complaint? The project is not vastu complaint. con Oasis; to name a few. The builders are a name to reckon with in the real estate industry and have a track record of timely delivery and excellent execution of projects. Further, its best in class properties have helped it earn an ISO 9001, ISO 14001 and OHSAS 18001 certifications for its supreme quality and safe management systems. They have won many prestigious awards like Iconic Real Estate Brand Award, Best Developer of the year, Best Professionally Managed Company; to name a few.